A cave is much more than just a hole or a tunnel in the ground. A cave can be an accidental crack, a scar in the skin of the earth but more often a cave is a shelter,a storage shed, a home, a thing of beauty and often a work of art. 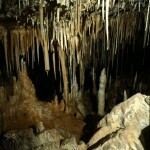 Caves come in many varieties depending on the method of formation. Primary caves such as lava tubes and rifts are the open 'left-overs', the space that remains once the hot flowing lava has evacuated the cooler walls of the lava flow path. Erosional caves are holes or caverns in the ground formed by the flow of water over and through 'soft' soil, leaving the harder elements as the walls of the cavern. Wind can have similar effects to water in the right conditions and topography. Littoral (sea) caves form at the edge of or even within a body of water where wave or current action breaks down rock and hollows out a hole. Glacier caves are holes in stone created by the erosive force of massive ice sheets, different from ice caves which are hollows in the ice formed by melts or shifts in position of the ice itself. A fracture cave is formed when soluble material (such as gypsum) is dissolved from in between harder rock. Because of the loss of support, the hard rock collapses, creating hollows different from the simple dissolution of material. A talus cave is created by the collapse of stones (usually located at cliff bases) leaving a hollow within the collapse. 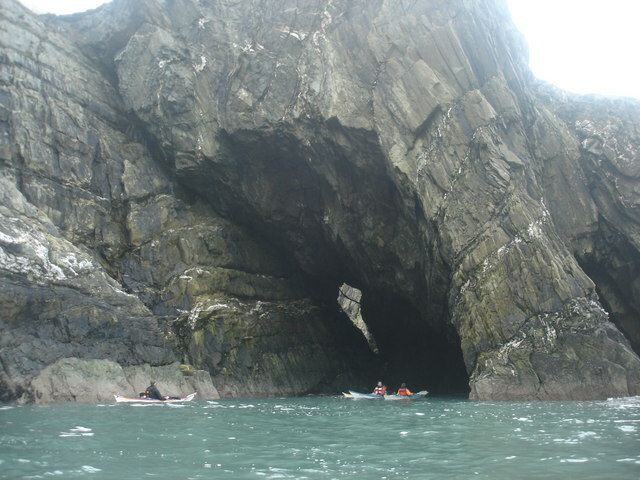 Anchialine caves are usually limestone but formed in a specific way. 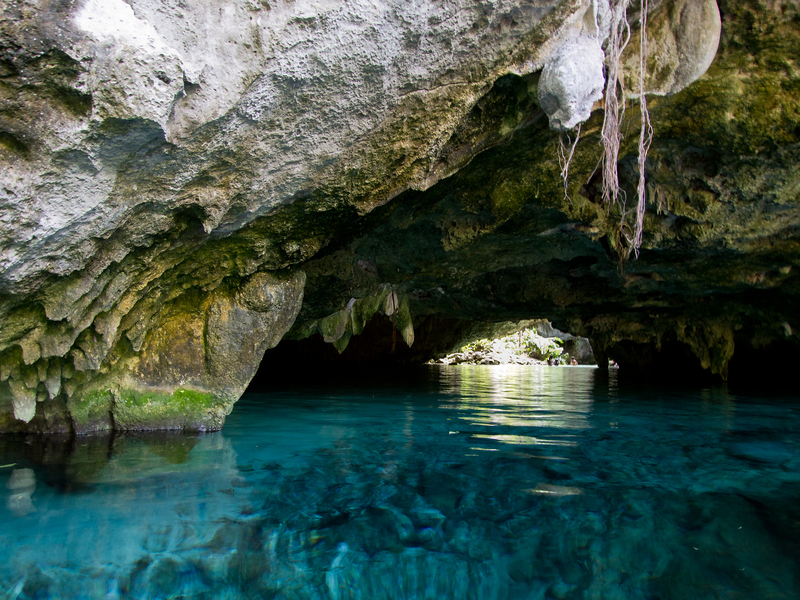 The typical anchialine cavern is the cenote, sink-hole caverns found in Mexico's Yucatan peninsula. The caverns are created by erosion of the limestone by freshwater run-off and eventual collapse of the roof, opening up the cavern to the outside world. The unique feature of these caves is that they involve a mixture of fresh and salt water (the caverns communicate with the ocean) and result in unique life forms that take advantage of this phenomenon. 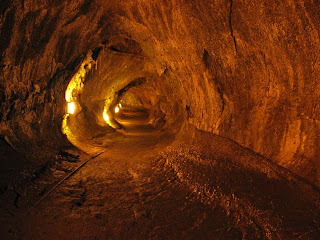 The most common type of cave is the solutional cave in which soft materials, such as chalk, gypsum, dolomite and most commonly limestone are dissolved by the relatively acidic flow of ground water (carbonic acid) over and through the stone and, less frequently, by sulfuric acid. The source of sulfuric acid is hydrogen sulfide gas rising from oil deposits beneath the rock, then mixing with water to form the corrosive acid. Both these two processes hollow out the stone, often leaving vast 'cathedrals' of magical shapes. 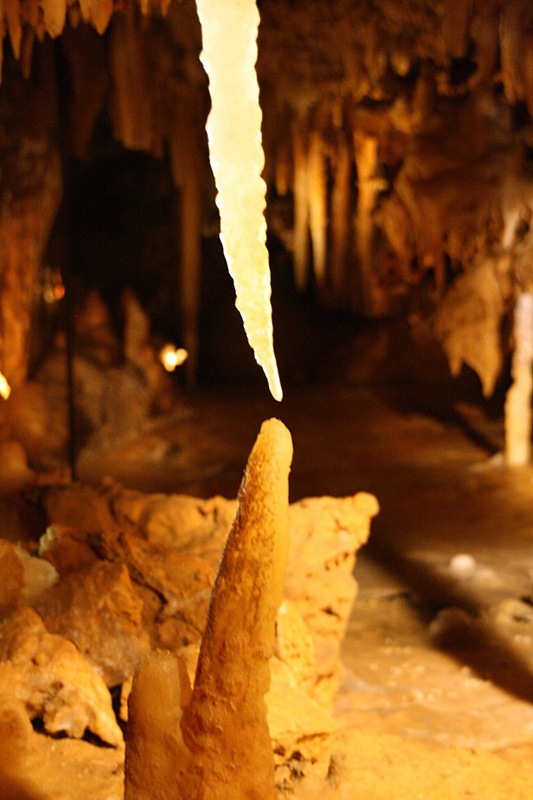 The beauty of a limestone cave is best seen in the works of art created by the gradual dissolution of the calcium carbonate (limestone), flow of the rock and its re-deposition in shapes (speleotherms) called soda straws, stalagmites ('rising' from the floor), stalactites ('rising' from the ceiling), flow stones and even curved helictites. A thing of beauty, a work of art, a place for storage and, ever since mankind walked on the earth, caves have been a home, a shelter; shelter from the wind, from the rain, from the cold, from the heat and probably shelter from the anger of the sun (see post: Gimmee Shelter). Protection from (any type of) radiation depends on the material and thickness of the material used as shelter. The effectiveness of protection is measured by its capacity to cut in half the radiation that can reach you. Obviously, water, wood and air are not enough to protect us from any significant amount of radiation, whatever the source. Most of us do not have access to a solid lead, steel or even concrete bunker to cover our heads. 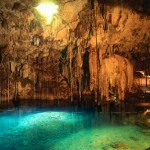 But caves are found in many places in nearly all regions of the world. About 1 meter (3 feet) of packed soil (rock) would provide enough protection to save your life, to give you shelter from the storm. You just have to know where to find that work of art nature has prepared for us. *Protection from solar radiation: subject of research for the novel The Tao of the Thirteenth God - Amazon Kindle.